We all know the rags-to-riches story of the American Dream, in which a disadvantaged individual rises to one of various tops by virtue of his own will and initiative. 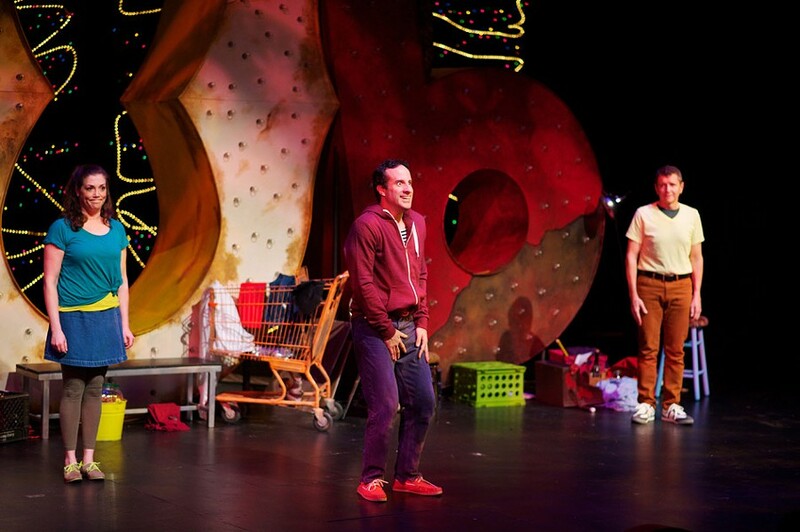 "Bob," the comedic production currently presented at Geva Theatre Center's NextStage (75 Woodbury Blvd. ), follows just such a journey in its title character, who was born on Valentine's Day in the bathroom of a White Castle restaurant. Regardless of such humble beginnings, our ordinary hero is determined to achieve the greatness that he knows is his destiny. The story seeks to remind us that we're all connected, but aren't always aware of the "profound and beautiful effect we have on others," says director Sean Daniels in a provided statement. Bob will be played by Rochester Native Dan Triandiflou, who is now based in Atlanta. The show debuted on March 7 but continues through March 24, with remaining performances on Wednesday-Friday, March 20-22, at 7 p.m., Saturday, March 23, at 3 & 8 p.m., and Sunday, March 24, at 3 p.m. Tickets start at $30. For more information call 232-4382, or visit gevatheatre.org.